Patricia Brintle is a self-taught artist whose colorful style reflects her native land; she favors bright, vivid and vibrant colors and uses much symbolism. Her works are shown throughout the US and grace the covers of books and magazines. Her religious work, The First Mother, traveled with the Black Madonna Exhibit at the National Museum of Catholic Art and History. Eddy Gaetan’s style is contemporary realism. He was first influenced by his uncle and started focusing on nature and jungles scenes in the 90’s. He was one of 21 artists chosen to take part in the National Art Competition organized by the Haitian Minister of Culture. 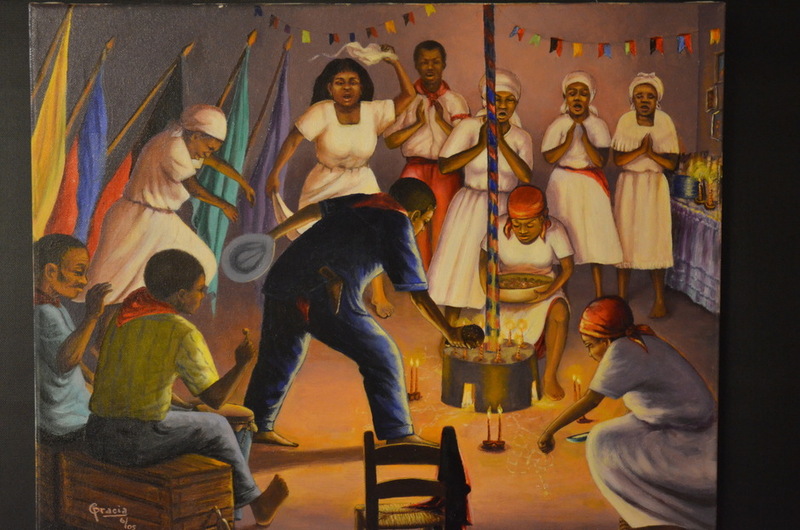 His artwork is part of the permanent collection of the Musée d’Art Haitian du College St Pierre and the Musée du Pantheon National Haitian. Myrtha Hall took classes at the Centre d’Art in 1946 when she was 13 years old. She graduated from the Foyer des Arts Plastiques and has a degree in fashion drawing from the Meyer Design School in New York. She worked with several Haitian masters including Luce Turnier, Dieudonné Cédor, Lucien Price and Luckner Lazard. She has participated in both solo and group exhibits in Canada, the USA, and Europe. Marie-José Nadal-Gardere was first an impressionist painter before she turned to a more abstract style. She is an art historian and an art gallery owner. She took her first art classes at the Centre d’Art with Dewitt Peters, Georges Remponneau and Lucien Price. She was awarded the second Esso prize, in 1965 for “L’Oiseau Noir” and the second prize Expo in 1984 for “Paysage.” She has exhibited in France, the USA, Columbia and Cuba. Evens Arcelin has many interests including theatre, photography, martial arts, and even diplomacy, but drawing and painting especially attracted him at an early age. He participated in several group and solo exhibits in Haiti, France, and the USA. In 2003 he received the Young Painters Award from the Académie Nationale Diplomatique & Consulaire and in 2012 the Architecture for Humanity Award. 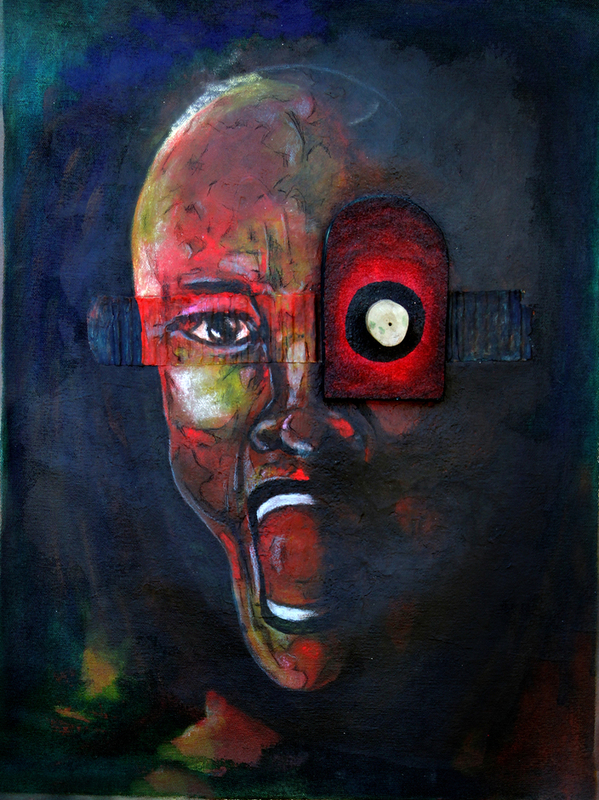 TAFA is an award-winning Ghanaian artist. His paintings have been exhibited and collected in Europe, Japan, Canada, South America, Africa and the US. His abstract oil paintings depict strong Social, Political, Religious statements in audacious brilliant colors. 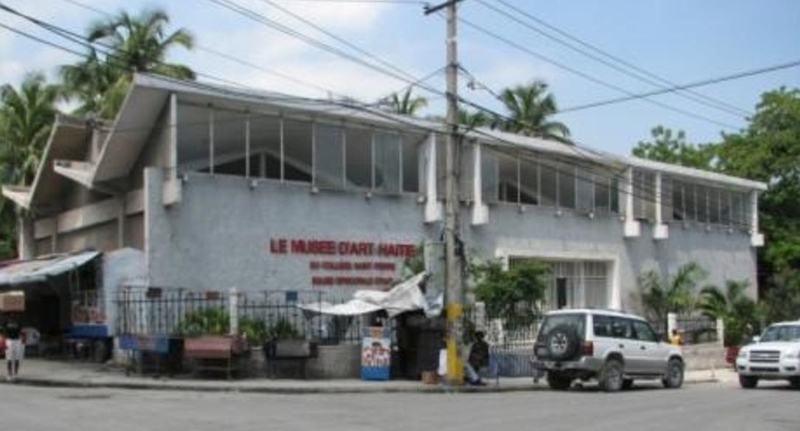 By donating his artwork, TAFA demonstrates his solidarity with Haiti and its art museum. Patrick Gaspard studied architecture but eventually decided to focus exclusively on art and he enrolled at the École Nationale des Art (ENARTS.) His interest gravitated towards tribal ritual masks and the wide variety of cultures and styles they represent. He has received the Best of Show Award at the Fine Arts Festival of Tarpons Spring in 2010. He has also participated in several exhibits in Haiti and the USA. Gerald Bloncourt is a photographer, an artist and a poet. 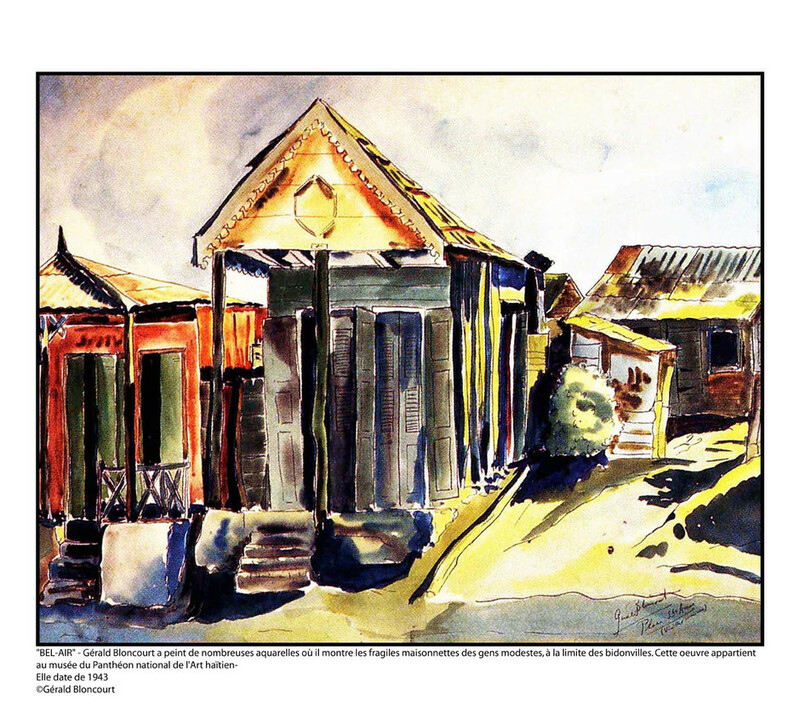 He was exiled from Haiti in 1946 for his participation in the students’ revolt with Jacques Stephen Alexis and René Depestre, He was a cofounder of the Centre d’Art in Port-au-Prince and his inspiration has remained his native country. His work has been shown in France, Haiti and in the U.S.A.
Emmanuel Merisier born in 1929, joined the Foyer des Arts Plastiques around 1952, and the Galerie Brochette in 1957. Later, his visits to museums and artistic circles of New York turned him towards a more modern style such as Chagall's and Rouault's. He is sometimes inspired by voodoo, but he especially paints still lives and interior scenes. In 1991, he took part in an exhibit at Selden Rodman’s home. His work is in the permanent collection of the Waterloo Museum of Art in Iowa. Saint-Jean Saint-Juste who was born in 1954 in Seguin in the south-east of Haiti, was a carpenter before working for Tiga. In 1972, he participated in the creation of the Saint Soleil movement which was at first called Poisson Soleil. Saint Juste remained faithfully attached to Jean-Claude Garoute until his death in 2005.. Saint Juste’s voice remained direct and spontaneous. Colette Bresilla concentrates on the female figure, especially the Japanese Geisha, and explores and explodes traditional conceptions of women, presenting the viewer with figures who appeal and confound them. Her work has been exhibited in Grenada and the USA. It is part of the permanent collections of many institutions such as the Gallery Z in Providence RI, Tufts University, Logan International Airport and the Massachusetts State House. Franketienne started to paint in 1972 and immediately found himself part of the Acting Painting style. His work reflects the existential problems of Haitian people and is often an echo of the naturals and political events of his country. He is first a colorist who doesn’t look for beautiful forms, he first tries to stir our emotions. His painting remains within what he calls literally Spiralisme. His work has been shown in Europe, in Japan the USA and the Caribbean. Denise Felix’s style is abstract-expressionist. She uses acrylic, oils, crayons, watercolor, found objects, wood, canvas and masonite board. She studies at the Art Students League of New York. In 2010 she won the Blue Dot “Second prize” at the Art Student League. She is the niece of Haitian master Lafortune Felix. Jonas Allen visited the masters' studios of the Academy of the Beaux Arts in Haiti often where the primitive masters taught him a great deal of their techniques. After he emigrated to United States, he took classes and read extensively to complete his higher education. Jonas Allen’s artwork hangs in many private collections and galleries throughout the globe. 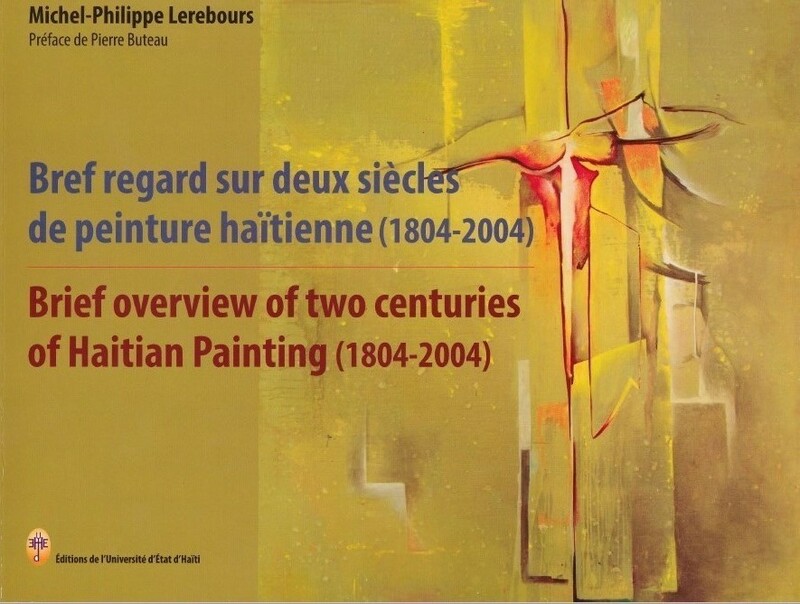 Marie-Thèrèse Dupoux (Maritou), sometimes using her paintings as a cry of revolt, denounces the problems and the unbearable conditions of life in the Haitian society. 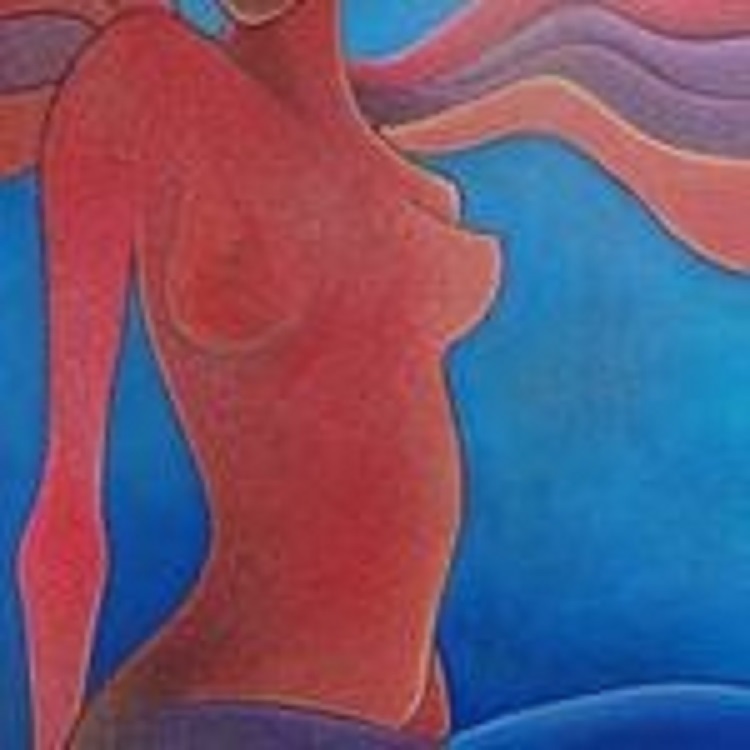 She paints but also does ceramics, sculpture and jewelry. She has participated in group and solo exhibits in the USA, Canada, Europe and the Caribbean. ENGELS uses many objects for his art, from scraps of wood found in the streets of Brooklyn to polished stones picked up on the Mediterranean coastline in France. His work is frequently recognized for its innovation and independence from all narrow traditions. Rénold Laurent at first used the primitive style. When he moved to Port-au-Prince, he met many artists among them Tiga and conducted technical researches that took him from realism to much more abstract constructions, while still playing with compositions where he could give free rein to his imagination. Eric Girault is one of the best Haitian impressionist painters. He joined the Galerie Brochette in 1959 then the Foyer des Arts Plastiques in 1967. He had his first exhibit in 1973 at the Nader Art Gallery and has participated in numerous solo and group exhibits in several countries notably at the Brooklyn Museum of Art in 1978. Arlene Magloire is a multi dimensional artist who has traveled extensively around the world. This has influenced the moods and themes of her art but her Haitian heritage is always present in her subjects and her vibrant colors. Gontran DUROCHER attended l’École des Beaux Arts in Haiti, studied at the Escuela Libre de Mexico, and took classes at the School of Visual Arts in New York. He has taken part in many exhibits in Canada, Haiti and in the USA, including at the Brooklyn Museum of Art and at the Whitney museum. 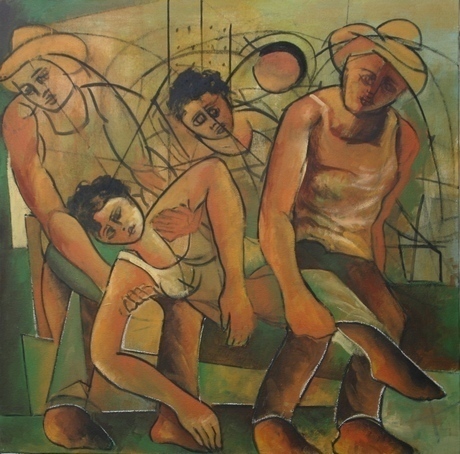 Gino, Eddy and Rene Tintin are part of a family of haitian artists.. They took classes at the National School of the Arts (ENARTS) and their style is influenced by the School of Beauty. François R. Gracia’s vivid and realistic still lives, his live scenes and his portraits raise the admiration of art lovers all over the world. A combination of Neoclassicism, Lyrical Romanticism and Symbolism define his artistic expression.